Everyone loves a good turtle brownies recipe! 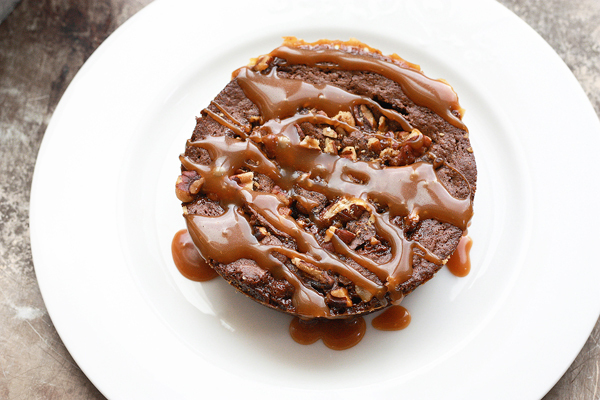 I am thrilled to be hosting another guest blogger with a delicious turtle brownies recipe! This time, it’s Katrina from Kitchen Trials. 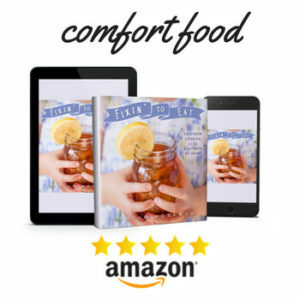 Katrina is a former graphic designer and current stay-at-home mom of three who spends her “free” time getting better at cooking- and living- on a budget. 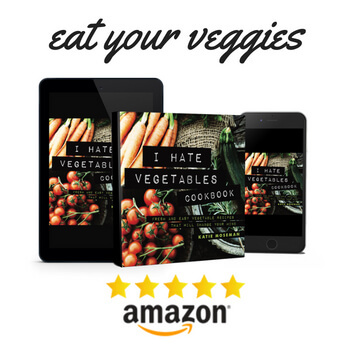 I love Katrina’s blog because she keep it real and her recipes are not only delicious but very doable! Please stop by her blog and be sure to follow her on your favorite social media. 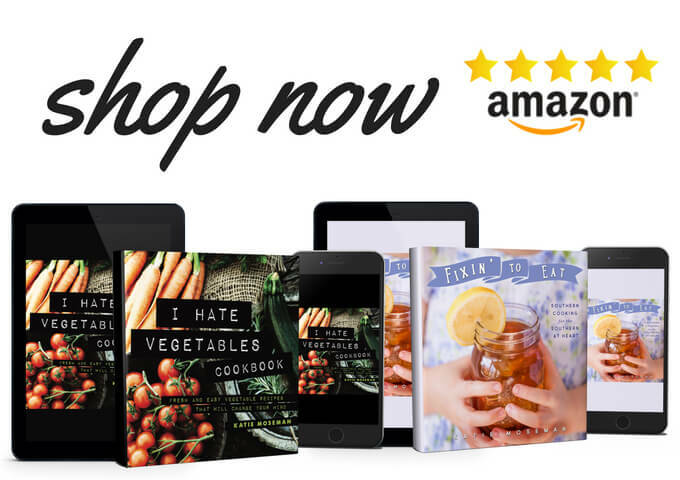 Hi, I’m Katrina from over at Kitchen Trials. I was beyond excited when Katie asked me if I wanted to guest post for her over here at The Perfect Brownie. Any excuse for me to make something sweet is welcomed, and brownies are revered in this house (it was the first thing I ever made for my now husband, waaaaay back 14 years ago in high-school). After a bit of brainstorming with my cousin over exactly what would make the PERFECT brownie (to us, of course), we decided that there had to be nuts, and there had to be caramel, and they had to be both crisp and chewy. To make sure everyone gets some crisp bits, I made the brownies in little individual sized tins (a throw back to the brownies roots), but it will work just as well in an 8″ pan. You could also substitute a store bought caramel sauce, but if you’ve got an extra ten minutes, I really recommend making your own. It’s way easier than you probably realize, and just tastes so darn good. Also – it keeps for 2 months in the fridge, so you can always have a little extra on hand. I hope you guys enjoy this Crisp & Gooey Turtle Brownies recipe as much as we have at my house. PS: Check out one of Katrina’s favorite recipes, these amazing Best Ever Cinnamon Rolls! Crisp and gooey, just like the Turtles candies you had as a kid! Place your sugar in a medium saucepan set over medium-low heat. Let it melt slowly, without stirring. When the sugar has melted, add the butter to the pan, and gently swirl to melt and combine. Cook until the mixture reaches 340? on a candy or instant read thermometer, then remove from the heat immediately. The sugar will be a medium-to-deep amber colour, but should not smell burnt at all. As soon as you remove from the heat, whisk in the heavy cream and vanilla. Whisk until completely combined, then set aside to cool. It will thicken as it cools. The sauce can be stored in the fridge for up to two months. Preheat your oven to 350 F with a rack in the middle position. Line the bottom of an 8" square pan or individual tins with parchment paper, then grease generously. Set aside. Place the chocolate and butter in a large bowl set over a pan of boiling water, and whisk until melted. Set the bowl aside until the mixture returns to room temperature. Whisk the sugar, cocoa powder, and vanilla into the chocolate mixture (it will look grainy). Whisk in the eggs and extra yolk. Sift the flour into the bowl, then use a large spatula to fold it in until no dry flour remains. Fold in ¼ cup of the toasted pecans. Pour the batter into your prepared pan(s). 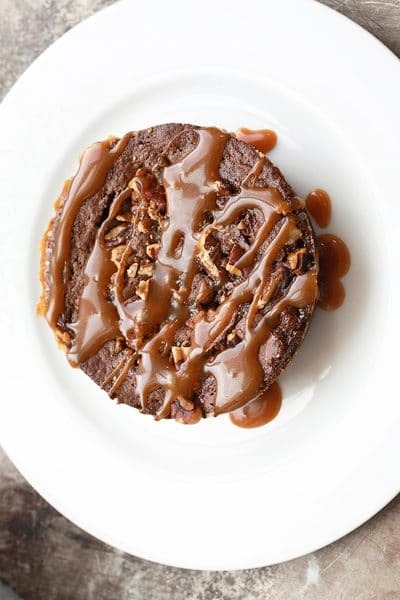 Drop heaping tablespoons of the caramel sauce occasionally on the top of the brownie batter and use a knife to swirl it into the batter (use should use roughly ¾ to 1 cup of the sauce). Top generously with the remaining toasted pecans. Bake for 30 minutes, until a knife inserted into the center comes out with moist crumbs (but not wet batter) attached. If using individual sides pans reduce the baking time accordingly (start checking at 15 minutes). Allow to cool in the pan(s). Drizzle with the leftover caramel sauce before serving. SO into these. Thank you Katrina for sharing your brownie prowess here! Hey there CakeSpy! Nice to see you. These do look good, don’t they? I haven’t made any brownies with caramel yet, but two out of three guest posters have included caramel. Apparently, I need to get on the caramel train. 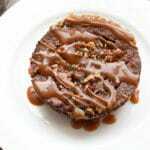 Back in the day, like in the mid-70’s, probably before you and your guest post were born, there was a recipe for turtle cake that was all the rage, similar to this brownie, with pecans and caramel. It was so good but these look even better because I prefer brownies over cake. I love the expression “back in the day,” I use it quite often. Sometimes when I’m referring to something that happened a week ago. But then, I’m weird like that. And you’re right, I was not born yet. Almost, but not quite. I’m going to have to look that up. My husband loves vintage recipes. I like brownies if I’m making them. I like cakes when other people make them. Cakes are like Thanksgiving dinner- by the time I’ve made it, I’ve lost interest. Did I mention I’m weird like that?